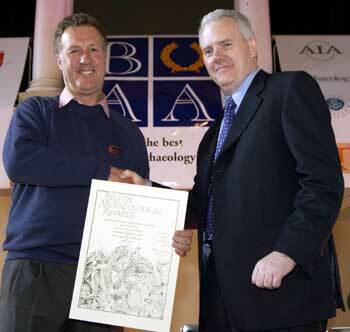 Whitehall runners up in British Archaeological Awards! 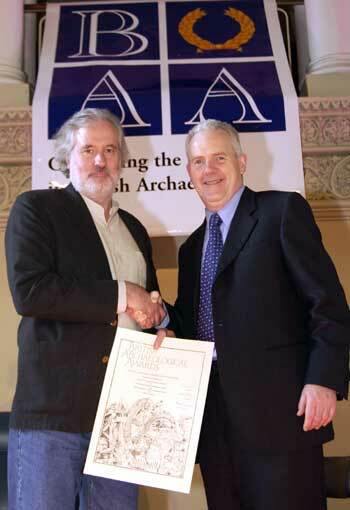 This website was entered for the Channel 4 Television Award, ICT (Interactive Computer Technology) category, which had the most entries (fourteen in all) of all the 2004 British Archaeology Awards. Whitehall Roman Villa and Landscape Project website, designed and authored by Jeremy Cooper and produced by Oliomedia. Accepted by Nick Adams, Chairman of the Project. The Vindolanda Writing Tablets Database website, by John Pearce & Jessica Ratcliff and designed by Paul Groves and Joseph Talbot, made for the Centre for the Study of Ancient Documents in Oxford University. Accepted by Professor Alan Bowman of that Centre. "The Host of Henllys and the Defeat of Carn Alw", an interactive multimedia CD-ROM by Philip Bennett and Rhonwen Owen, made for the Pembrokeshire Coast National Park Authority and Pembrokeshire County Council. Accepted by Philip Bennett of the Park Authority and Duncan Whitehurst of the County Council. A small but perfectly-formed Whitehall delegation made their way to Belfast (at their own expense) for the award ceremony on October 8th. It was just like the Oscars, with "the nominations are..." and "And the winner is..."
Nick gained the glory of receiving the prize (nice certificate - no money) during the ceremony. ...and a jolly good time was had by all. 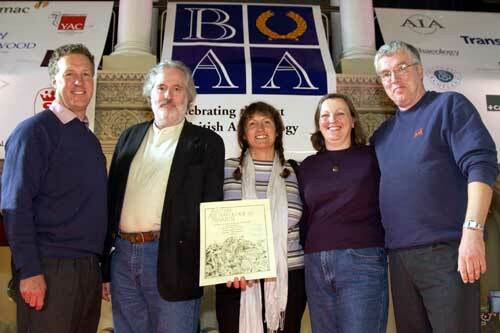 Various other TV celebreties attended - Phil Harding ("Time Team"), Julian Richards ("Meet the Ancestors") Francis Pryor ('Britain AD'... and Flag Fen, of course), and Mark Horton ("Time Flyers"), plus Andrew Selkirk of "Current Archaeology", but they didn't mind being overshadowed by us. Serioulsy, though, congratulations and thanks to everyone who made any contribution to the Whitehall website.